We all know moving is stressful. And as with any stressful activity, we want to get it finished quickly. That’s why many of us will at least consider just getting a few gigantic moving boxes, stuffing them with all of our possessions, loading them into a moving truck and hitting the road. This method doesn’t work. Not only is it bad for your health (and your muscles), but it also runs counter to best moving practices. Loading up a bunch of medium sized boxes for your move is the only logical way to move your stuff. Let’s take a look at why that is. Medium-sized moving boxes can fit between pieces of furniture in a moving truck. Moving trucks provide a large, rectangular space for you to put all your household items in. Of course, that large space starts to look a whole lot smaller once you’ve loaded about 20 percent of your stuff. At that point, panic and frustration can set in — sentiments you really don’t need to feel during an already stressful time. Pretty soon, you might find yourself digging through packed materials for some Alka Seltzer. But better packing techniques could keep this emotional turmoil from coming up at all. If you use several medium-sized moving boxes for your smaller items, you can fit them into tight spaces around the furniture you load into the moving truck. This is a significant benefit, since large furniture items are often shaped strangely, and large boxes might not be able to fit in between these items easily. 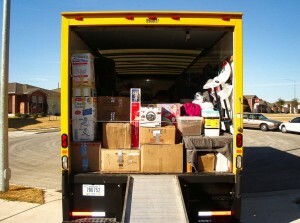 If you’re hiring movers, they can also load up the truck much more efficiently if they have smaller boxes to work with. The end result is a quicker, less stressful moving process. And hey, who doesn’t want that? 2. Medium-Sized Moving Boxes help you keep your possessions organized. One of the reasons why medium-sized moving boxes are widely regarded as “standard” in the moving industry is that they allow people to pack items by the room they’re housed in easily. For example, kitchen items can be loaded into a few boxes, while clothing and bedroom linens can be loaded into some other boxes. While packing a few medium-sized boxes for each room can seem more tedious than loading all the contents of multiple rooms into one giant box, it’s actually the most reasonable action to take. Why? Well, simply put, it’s the easiest pattern to follow for seamless loading and unloading materials during a move. Think about it. Even if you can fill a giant box with all the items from your kitchen and bedroom in 15 minutes, it could take you more than an hour to unpack the box in your new home, sort the items inside it by room and put everything away. That’s a time-erasing mess that you probably aren’t anticipating when you’re preparing to move. Using medium sized boxes that are organized by room will streamline the unpacking process, which can help give you peace of mind both before and after a move. 3. Medium-sized moving boxes have the most most functional design for your move. Medium-sized moving boxes are designed for maximum moving efficiency. Other sized moving boxes aren’t. It’s as simple as that. 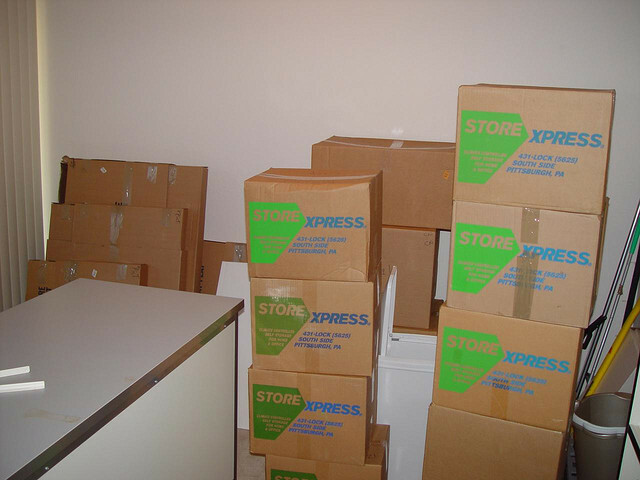 Medium-sized moving boxes are also less likely to get worn down during a move than other sized boxes. 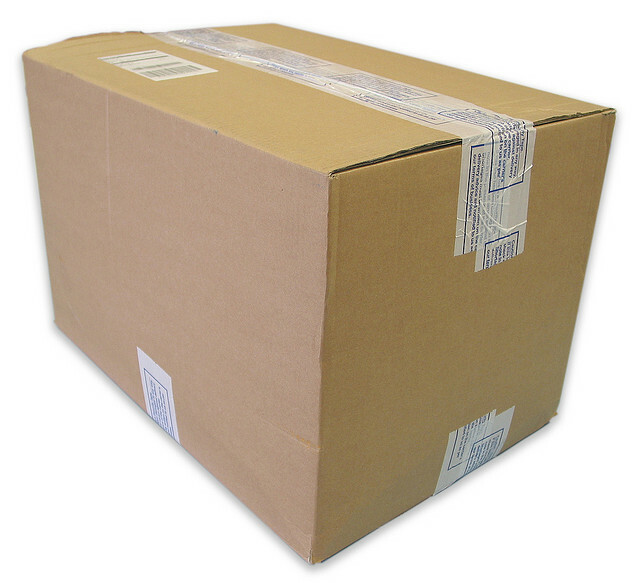 If a large moving box is overloaded or particularly heavy, its large surface area can be weakened or torn by the weighted mass inside the box. Since medium-sized boxes have a much smaller surface area, it’s much less likely that the boxes will be damaged from the inside during a move. This means that you can re-use these boxes for a future move — making them incredibly cost efficient. So if you find yourself gravitating towards the Texas-sized boxes for your upcoming move, stop and reconsider. Medium-sized moving boxes are the way to go. If you’re looking to move, turn to Garrett’s Moving and Storage. We’ve been moving customers across the Dallas-Fort Worth Metroplex — and across the country — since 1992. Let us work with you! Request your free moving consultation today! This entry was posted in Stress Free Moving Tips and tagged moving boxes, Moving Tips, planning a move. Bookmark the permalink.